Who doesn't like installing new apps on their Android device? I'm sure everyone does, and I'm sure installing numerous apps drastically affect your device performance and battery life. As once stopped/minimized, most of these apps continue to run as a background process which persistently hogs your device's memory and drains the precious juice out of the battery. Although these apps can be removed once and for all, but a perfect alternative is to use Greenify. As the app developer states that you don't have to envy iPhone anymore, which uses a better multitasking strategy, for now you can use Greenify to your advantage if you are a lover of installing every new app of your interest. 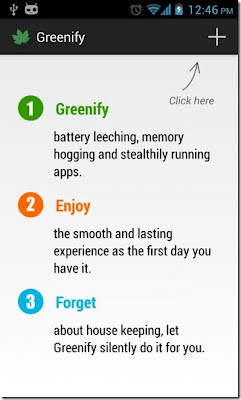 So with Greenify you basically ensure that the interface of your device always remain smooth as expected, by automatic hibernation of Greenified apps. 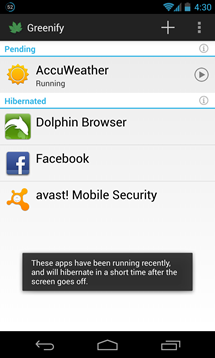 Comparing its functionality with likes of Titanium Backup, App Quarantine etc, which can be used to freeze/defrost any unimportant app permanently, Greenify simply hibernates the apps that are not in the foreground, which later can be brought up simply by opening it from the app drawer as done with any other app, the only difference being the fact that it was previously in hibernation mode, thus avoiding the need to Defrost/Freeze again. The concept on which Greenify works is pretty simple: Any app in Greenify list which is not in the foreground, gets kicked out of the memory into the hibernation state when the screen is turned of. 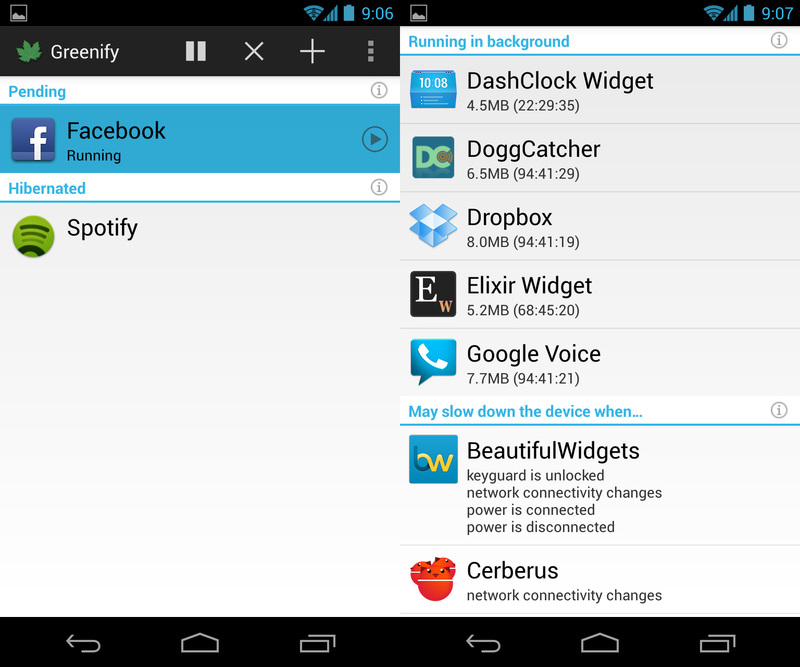 Unlike most of the other apps Greenfiy is not compatible with Android versions 2.x, it is only compatible with Android 3.1 and up and requires root permission. The instructions at the start of the app are pretty much self explanatory and the interface is user friendly, moreover the process of adding apps to the Greenify list is very simple and can be well understood from the aforementioned instructions. 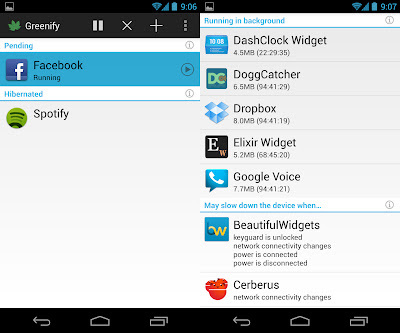 An important caveat: Do not add system apps to the Greenify list. Overall, Greenify can now be added to the category of a must have app for rooted devices to maintain the sanity of Android work environment. 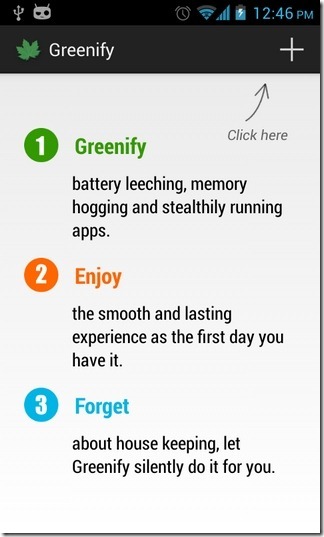 Download Greenify from Google Play Store. Does iphone really have better multitasking if we don't use greenify? I haven't rooted by device. If so I'd like to give it a shot. From my experience it does make interface smoother. root your device, it'll be beneficial as always.